Have you ever noticed what bright, spacious interiors have in common? That’s right, mirrors! Mirrors are almost as good as windows for creating light, and a big mirror can make your living space feel double the size. Humans tend to need plenty of space in order to feel calm and unleash our inner zen; but modern houses don’t always deliver. One of my previous homes had a tiny living room. The walls were bare when I first moved in, and everything felt like it was closing in on me. It was the first place myself and my daughter lived alone, and money was tight. 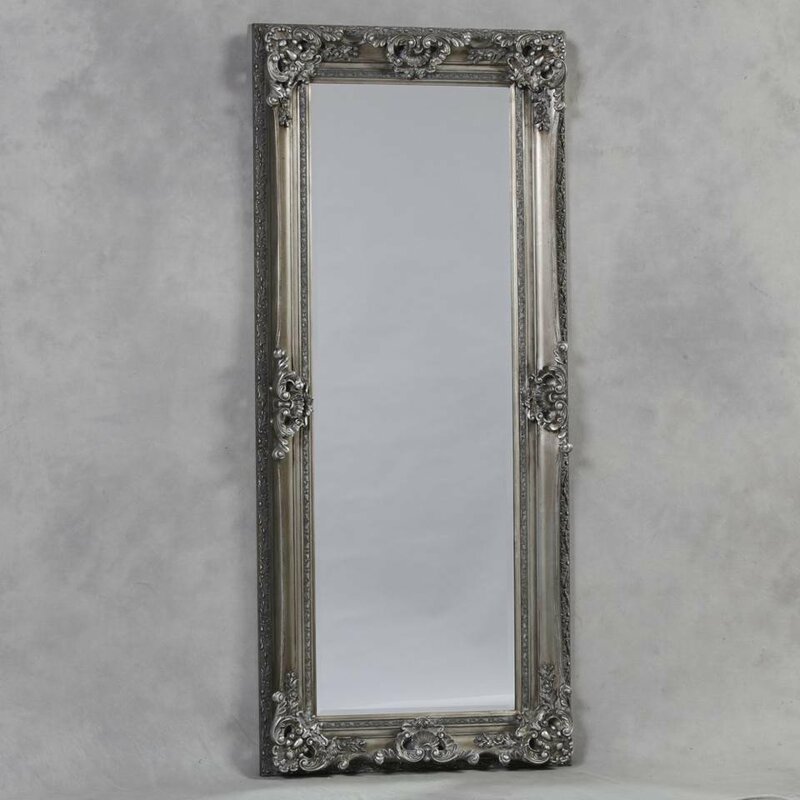 I saw a large (but not very attractive) mirror in a charity shop for £4 and I remember struggling home with it as well as the pram. I hung it above my mantelpiece and it instantly made me feel I had room to breathe. I remember that mirror because it made such a difference to my room. Sadly, it really was ugly and soon got replaced by something when I could afford it. An ugly mirror is better than no mirror at all, but a pretty mirror is best. Growing up, my parent’s hallway always had two mirrors. The hallway was an L shape so there was one full-length one at the bend of the ‘L’ and a smaller one near the door. I liked them because it meant you could check your appearance before you left the house, which is always a plus. The mirrors would come down when the hallway was being decorated, and without the mirrors it became very dark and appeared to shrink by about 50%! I really advocate a hallway mirror; even if your hall is tiny, you’ll definitely notice a difference. I would take a look at these silver or chrome framed mirrors for this area of the home. Silver/chrome is a neutral colour, which means if you redecorate, you won’t need to replace your accessories. The one below is a fave of mine. 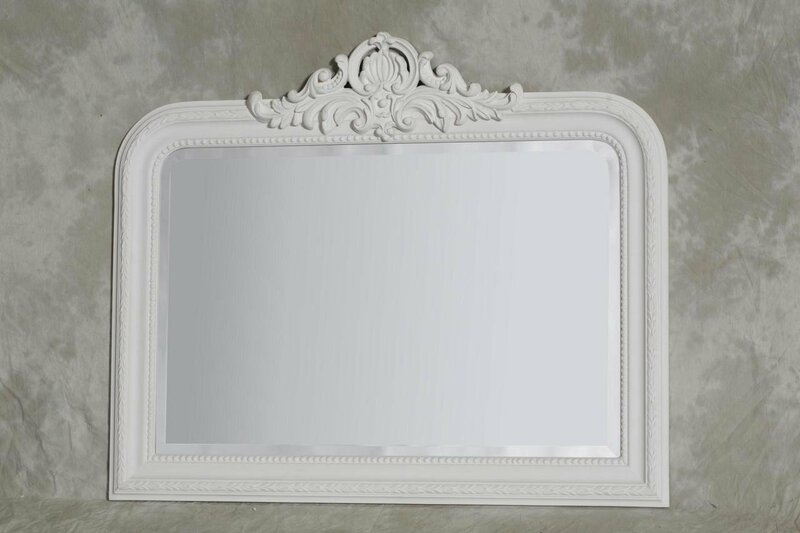 When looking at lounge mirrors, you want to be searching for overmantle mirrors (whether you have a mantlepiece or not). Obviously, if you do have a mantle, put you mirror above it. If you don’t have a mantle, pick one of the longest walls to hang your mirror on. Some people put their mirror behind their sofa, which is fine, but if it’s space you’re after, the mirror needs to be in a place you can see it. I’d pop at above mantle height on a wall you can see when you’re sitting on your sofa for best results. These mirrors might suit your needs. I’ve always wanted one of those gorgeous princess dressing rooms that you see on telly. You know the ones, they always have a mirror like the one above and have a row of perfumes with a squeeze bulb atomiser on them. I don’t quite have a dressing table like that yet, but I do have a mirror with the three sections, and I do have a lot of make-up. I’d say I’m halfway there. 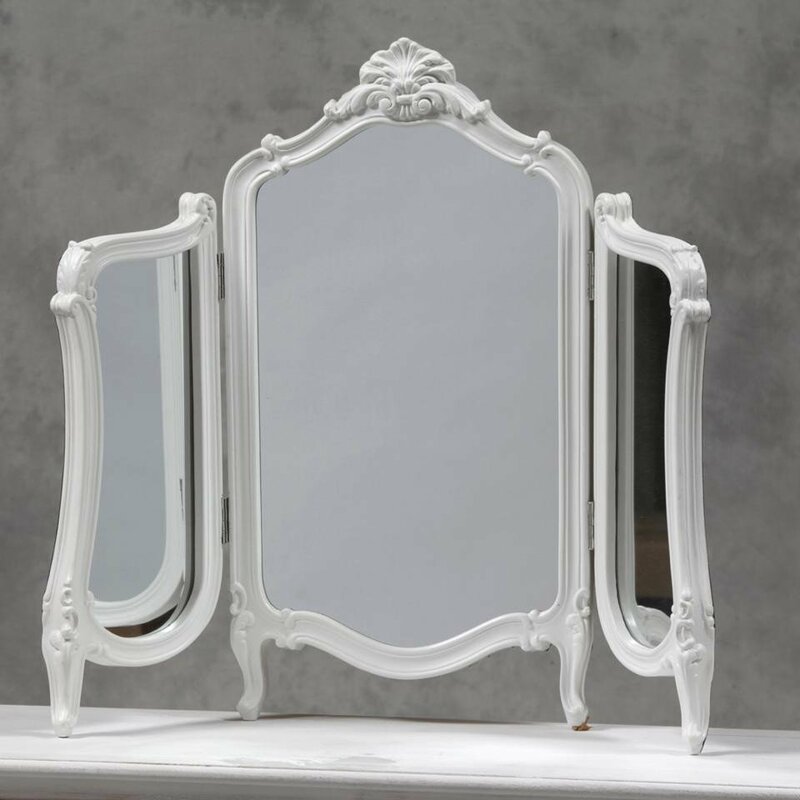 Table mirrors like this one are often not as expensive as you think. Something to consider when you give your bedroom a make-over. I’ve left decorative mirrors until the end because there’s no set rules about where they go. They’re pretty but also functional. Like art you can see your face in. 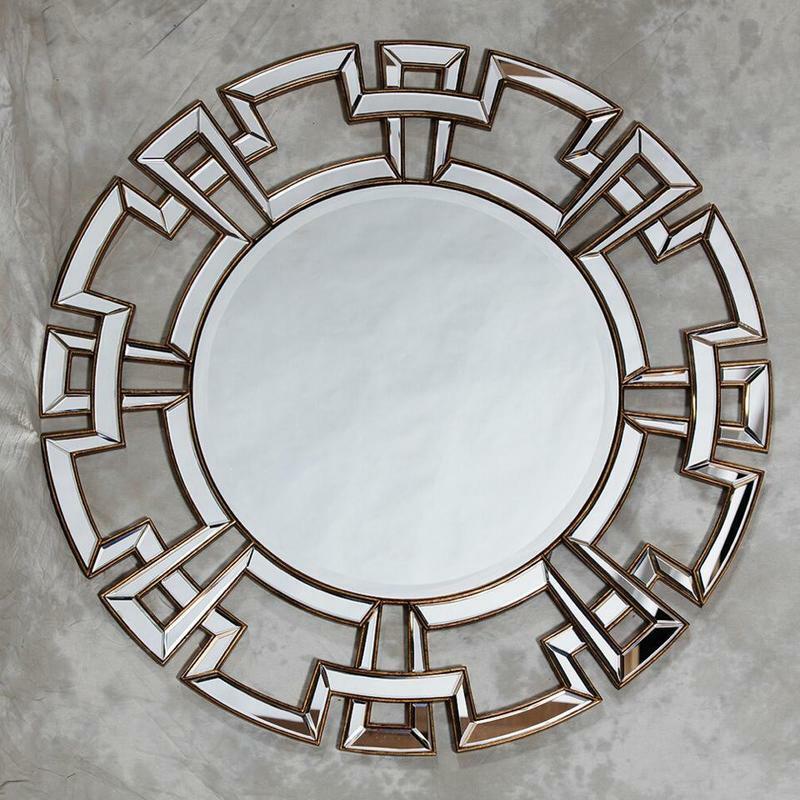 A decorative mirror can brighten any room and allows you to share your own individual style. Check out some more designs here for ideas. Do you create the illusion of more space by using mirrors? I want to hear from you! 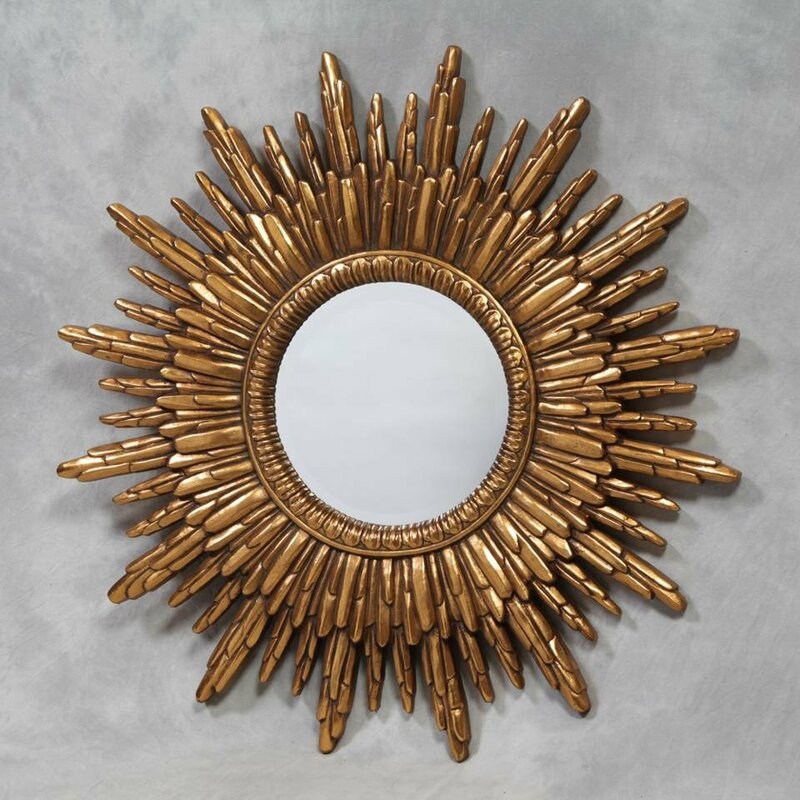 We have a mirror in almost every room in the house as I love bright, airy spaces and mirrors definitely create this! They allow more light to reflect in the rooms and I love minimalism so they suit me perfectly!